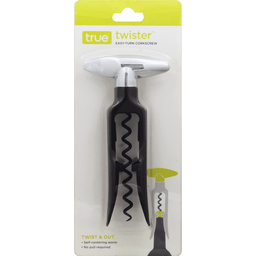 Features: double hinge; non-stick worm; serrated foil cutter. An industry favorite! 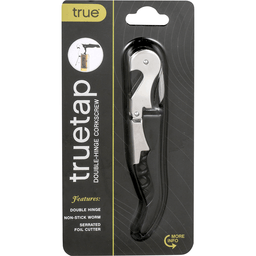 Uncork flawlessly with Truetap. 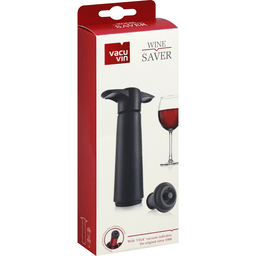 The second hinge makes it easy to remove the cork & reduces cork breakage. Bottle opener. 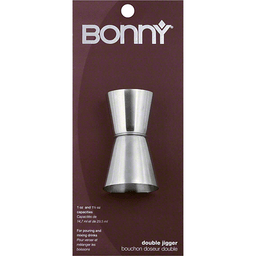 Serrated foil cutter. Double hinge. 5-turn non-stick worm. Made in China. 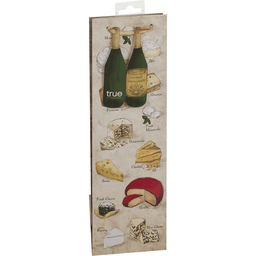 True Fabrications, Wine Bag, Say Cheese! True™ Say Cheese! Illustrated Wine Bag. By true fabrications. Brie. Finest 1863. Vintage. Gruyere. Parmesan. Fresh mozzarella. Gorgonzola. Cheddar. Swiss. Fresh chevre. Gouda. Ricotta. Blue cheese. True™. 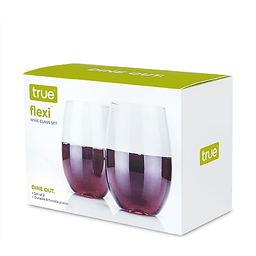 For more True™ products. www.truefabrications.com. 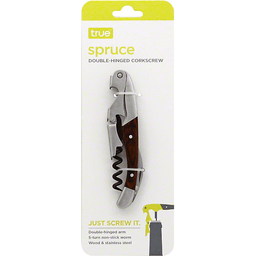 True™ Spruce Double-Hinged Corkscrew. Just screw it. Double-hinged arm. 5-turn non-stick worm. Wood & stainless steel. Lami. Double the hinges, double the speed. The spruce is an efficient take on the sommelier-style classic. 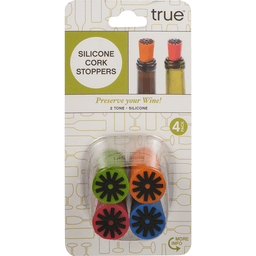 Its non-stick worm slides smoothly into any cork with minimal friction, and a robust hardwood handle maximizes the power of your leverage. www.truefabrications.com. Vacuum seal slows down the oxidation process. 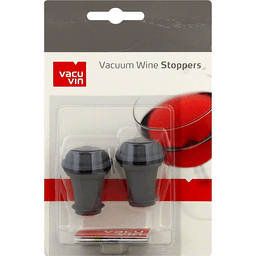 Vacuum pump with wine stoppers. Preserve your wine after opening. Vacuum indicator: clicks when vacuum is reached. Not suitable for sparkling wines. With click vacuum indicator, the original since 1986. Because UV-light has a negative influence on the taste of wine, even dark coloured bottles need to be stored out of the sun. Dutch Creative Brands: It's our goal to develop innovative and creative products In a sustainable way of production. 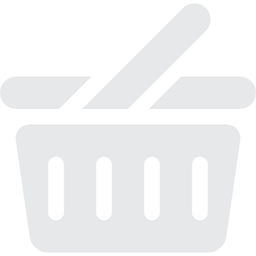 Most of our products are produced in our social work facility. www.clutchcreatIvebrands.com. www.vacuvin.com. Please recycle. Food safe. Dishwasher safe. Designed & made in the Netherlands. 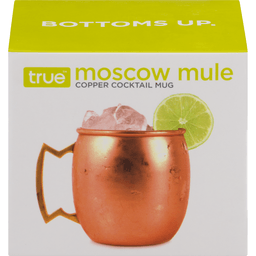 True™ Moscow Mule Copper Cocktail Mug. Bottoms up. Copper-clad is cast to make a classic Moscow mule copper cocktail mug, complete with an intricate golden-hued zig-zag handle. Hang it up in the kitchen or fill it to the brim with the classic concoction of vodka, ginger, lime and fresh mint. Highly recommend hand washing. Zinc alloy handle. Stainless steel & copper plated. Holds 16 oz. www.truefabrications.com.